Neurology submits 2019 organizing committee are esteemed to invite in upcoming International Conference on Neurology and Mental Disorders to be held in Stockholm Sweden on April 11-12, 2019. We are gratified to welcome you to be a part of this event which is around the theme ‘’Fostering Advances in the field of Neurology and Mental Disorders’’. Neurology and Mental Disorders, 2019 is organizing an outstanding scientific exhibition/Program and anticipates the world's leading neurologists, health professionals involved in the profession and practice of neurology. This neurology congress is, for the people to attend and gain a better understanding about it and to access treatment as well as share information and advice. This is an effort to make possible interactions among world leading scientists, research scholars, professionals, young researchers from different parts of the world to exchange their knowledge and conduct mental disorders symposia, show experiments with new innovative techniques that disseminate information about clinical tradition, best practices, skills and knowledge in the field of neurology. 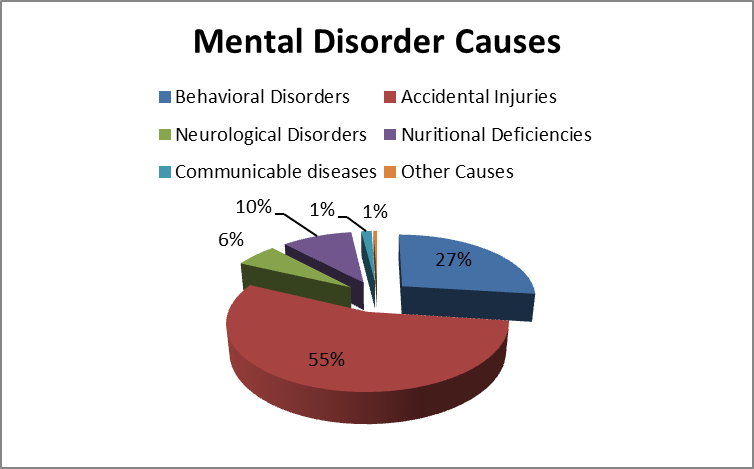 In Neurology and Mental Disorders 2019 conference, international symposiums, B2B meetings, international workshops will also be organized to discuss the specific topics in the field of neurological disorder and mental disorders. Our Organizing Committee wishes you to take a challenging in participating at the event and helps to explore entirely about the meeting. What is Neurology and how is it related to mental disorders?? Many scientists say that neurology is the branch of medicine concerned with the study and treatment of disorders of the nervous system. It is related to neurology as a behavioural or mental pattern that causes significant distress or impairment of personal functioning. To know more what people say we cordially invite you to the “International conference on Neurology and Mental Disorders “which is organized and hosted by European conferences in the month of April from 11th and 12th, 2019 at Stockholm, Sweden. Conference Series is a platform which is organizes 3000+ plus International events where 800+ conferences are being organized across the globe. With a great pleasure we announce this conference where the theme of the conference mainly focuses on Neurology and Mental Disorders. Your attendance and participation will be greatly appreciated as we seek to strengthen the expertise in the field of Neurology and Mental Disorders!! We look forward to welcome you to Sweden. Individuals may serve as a coauthor on an unlimited number of abstracts. 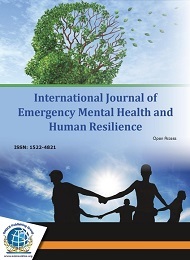 All types of Psychology, Psychiatry, and mental health research are eligible for submission. Abstracts of clinically-related subjects should be combined into a single abstract. Please Note: Submission of multiple abstracts on a single study may result in the rejection of one or more abstracts. Neurology is a branch of medicine dealing with disorders of the nervous system. Neurology deals with the diagnosis and treatment of all categories of conditions and disease involving the central and peripheral nervous systems (and their subdivisions, the autonomic and somatic nervous systems), including their coverings, blood vessels, and all effector tissue, such as muscle. Neurological disorders are diseases of the brain, spine and the nerves that connect them. There are more than 600 diseases of the nervous system, such as brain tumors, Parkinson's disease as well as less familiar ones such as frontotemporal dementia. Stroke is a medical condition in which poor blood flow to the brain results in cell death. There are two main types of stroke: ischemic, due to lack of blood flow, and hemorrhagic, due to bleeding. Epilepsy is a group of neurological disorders characterized by epileptic seizures. Epileptic seizures are episodes that can vary from brief and nearly undetectable periods to long periods of vigorous shaking. These episodes can result in physical injuries, including occasionally broken bones. In epilepsy, seizures tend to recur and, as a rule, have no immediate underlying cause. Isolated seizures that are provoked by a specific cause such as poisoning are not deemed to represent epilepsy. People with epilepsy in some areas of the world experience varying degrees of social stigma due to their condition. 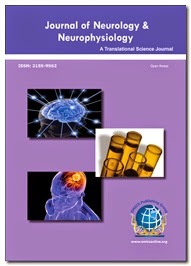 What seems astonishing is that engineering techniques like brain engineering, or Neural tissue engineering can be used to understand, repair, replace, enhance, or otherwise exploit the properties of neural systems and Neuro computing is the study of brain function in terms of the information processing properties of the structures that make up the nervous system. current researches in the field of neuro engineering include: Neural imaging and neural networking, Biomolecular therapies in neural regeneration, Neurorobotics, Biological neural networking. The most imperative side effect for the dominant part of spinal issue is torment. Spine is very mind-boggling structure with various capacities. Ordinary maturing process prompts changes in vertebrae, tendons and intervertebral circles. Osteoporosis frequently happens in ladies after menopause and other hazard variables can prompts debilitating of bone; smoking, unreasonable liquor utilization, radiation treatment of spine, a long-haul treatment with cortisone or end organize liver and renal infection. Mental health is defined as a state of well-being in which every individual realizes his or her own potential, can cope with the normal stresses of life, can work productively and fruitfully, and is able to contribute to her or his community. Mental Health incorporates a person's capability to appreciate life and make a harmony between ordinary life exercises and endeavors to accomplish mental flexibility. Mental health conditions can cause distress, impact on day-to-day functioning and relationships, and are associated with poor physical health and premature death from suicide. It is essential at each phase of life one should maintain good mental wellbeing. It is the act of intentionally causing one's own death. Risk factors Include mental disorders like depression, stress, anxiety, bipolar disorder, schizophrenic psychosis, personality disorders, alcoholism, substance misuse, and use of benzodiazepines. Other issues may include impulsive acts due to stress such as financial problems, workplace Stress, troubles with relationships or from bullying. Those who have previously attempted suicide those are at higher risk for future attempts. Suicide prevention efforts include limiting access to methods of suicide, such as firearms, drugs, and poisons, treating mental disorders and substance misuse, proper media reporting of suicide, and improving economic conditions. An eating disorder is a mental disorder defined by abnormal eating habits that negatively affect a person's physical or mental health. They include binge eating disorder where people eat a large amount in a short period of time, anorexia nervosa where people eat very little and thus have a low body weight, bulimia nervosa where people eat a lot and then try to rid themselves of the food, pica where people eat non-food items, rumination disorder where people regurgitate food, avoidant/restrictive food intake disorder where people have a lack of interest in food, and a group of other specified feeding or eating disorders. Schizophrenia is a mental disorder characterized by abnormal social behavior and failure to understand reality. Common symptoms include false beliefs, unclear or confused thinking, hearing voices that others do not, reduced social engagement and emotional expression, and a lack of motivation. People with schizophrenia often have additional mental health problems such as anxiety, depressive, or substance-use disorders. Symptoms typically come on gradually, begin in young adulthood, and last a long time. Anxiety disorders are a group of mental disorders characterized by significant feelings of anxiety and fear. Anxiety is a worry about future events and fear is a reaction to current events. These feelings may cause physical symptoms, such as a fast heart rate and shakiness. There are many anxiety disorders: including generalized anxiety disorder, specific phobia, social anxiety disorder, separation anxiety disorder, agoraphobia, panic disorder, and selective mutism. The disorder differs by what results in the symptoms. People often have more than one anxiety disorder. Depression caused by chronic disease often makes the condition worse, especially if the illness causes pain and fatigue or it limits a person's ability to interact with others. The combination of chronic illness and depression might lead you to isolate yourself, which is likely to make the depression even worse. Research on chronic illnesses and depression indicates that depression rates are high among patients with chronic conditions. Mental health is important at every stage of life. Depression, anxiety, psychological distress, sexual violence, domestic violence and escalating rates of substance use affect women than men across different countries and different settings. Pressures created by their multiple roles, gender discrimination and associated factors of poverty, hunger, malnutrition, overwork, domestic violence and sexual abuse, combine to account for women's poor mental health. When women dare to disclose their problems, many health workers tend to have gender biases which lead them to either over-treat or under-treat women. International Conference on Neurology and Mental Disorders 2019 cordially welcomes attendees, presenters, and exhibitors from all over the world to Stockholm, Sweden. We are delighted to invite you all to attend and register for the International Conference on Neurology and Mental Disorders 2019 which is going to be held during April 11&12, 2019, Stockholm, Sweden. The organizing committee is gearing up for an exciting and informative conference program including plenary lectures, symposia, workshops on a variety of topics, poster presentations and various programs for participants from all over the world. We invite you to join us at the International Conference on Neurology and Mental Disorders 2019, where you will be sure to have a meaningful experience with scholars from around the world. All members of the Annual Congress on Neurology and Mental Disorders 2019 organizing committee look forward to meeting you in Stockholm, Sweden. Aim of this Neurology Summit 2019 conference is to encourage exchange of new and developing ideas in the field of Neurology and provide a platform for stimulating new techniques for treatment that will be beneficial across a broad spectrum of mental disorders. Neurology and Mental Disorders meetings provide a unique forum to bring together worldwide distinguished academics in the field of Psychology, Psychiatrists, public health professionals, scientists, academic scientists, neuroscience and neurology, industry researchers, scholars to exchange about state of the art research and technologies. The market size of the global neurology monitoring devices market is USD 1.62 billion and is growing at a CAGR of 5.6% between 2016 and 2021. An estimate of one out of four people in the world to be affected by mental or neurological disorders has been made at some point in their lives. Hence around 450 million people are currently suffering from Depression, Stroke, Dementia, Alzheimer's disease, Epilepsy, placing mental disorders among the leading causes of ill-health and disability worldwide. With the significant rise in the prevalence of neurological diseases, severity of the disease, rising demand for effective treatment methods, surge in demand for minimally invasive procedures, and growing awareness among people is expected to contribute to the growth of the market. According to WHO depressive disorders are already the fourth leading cause of the global disease burden and are expected to rank second by 2020, behind ischaemic heart disease but ahead of all other diseases. Currently, more than 40% of countries have no mental health policy and over 30% have no mental health programme. Around 25% of countries have no mental health legislation. Hence highlighting the current mental health statistics brands are getting more creative about increasing awareness around this important area of mental healthcare. Increased awareness, Public acceptance, improved medical assistance, better understanding of neurological science and advancement in psychiatry and related discoveries have added to the recent global trend in Neurology and Mental Health Development. Stockholm is the essential, economic, political and cash related capital of Sweden. Stockholm was built around 8000 BC by a Vikings. The number of residents in the city of Stockholm is 2,226,795. It is a champion among the most delightful urban areas on the planet and home to true blue noteworthy focuses Stockholm turn into a modern, technologically advanced, and racially diverse city in the end of the 20th century. Many ancient buildings were torn down during the modernist era, and replaced with modern architecture. , Stockholm is one of the fastest-growing metropolitan regions in Europe. It is a significant global city, and the foremost centre for corporate headquarters in the Nordic region. For participants indulged in style and beautification we would like you to celebrate the fact that Stockholm is just the right place to find the best and refined fashion. Acne, Södermalm's fashion, Bibliotekstan is some places where you can visit to get a taste of Swedish fashion and merchandise. Want to experience the exotic flavours at Swedish café? Svartklubben, Under Kastanjen, Gunnarssons are some of the ‘not to miss’ places where you can experience the joy of various Swedish delights. Spots such as Astrid Lindgren’s home and Häringe Slott (castle) might be difficult to get around but behold spectacular displays of ancient Swedish context. To get a more urban view within a modern city one can visit the Fredhälls cliffs, providing a wonderful green view over the Essinge islands and an excellent spot to get dipped in freshwater. After a dip one can move on to Solstugan to enjoy a lovely lunch if accompanied by family. For those wanting to enjoy the night, the absolute best night club is Backdoor, a gay-friendly but mixed club near Globen. With it varying theme the floor gives a good change of environment for our formal participants. With a spring mixed hot climate during April, visitors are recommended to visit the archipelago and take a steam boat to enjoy the view towards your visit to the Gripsholms castle. Finally, not to miss out the art developed over 20years in Stockholm one must visit the Bonnier’s Art gallery at St Eriksplan, Fotografiska (museum of photography) on Södermalm and the Moderna Museet. 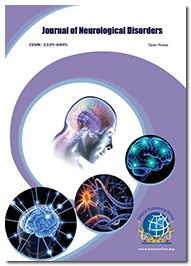 The International Conference on Neurology and Mental Disorders 2019 is a unique forum to bring together worldwide distinguished academics in the field of neuroscience and neurology, Psychology, Psychiatrists, public health professionals, scientists, academic scientists, industry researchers, scholars to exchange about state of the art research and technologies in the field of psychiatry, psychology. Professors and Students from Academia in the research of Psychiatry and Mental Health.